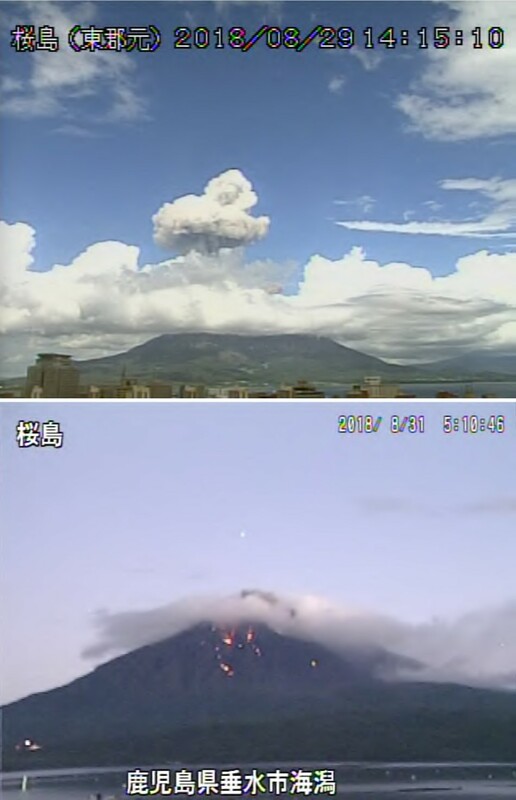 The current eruption began after increased seismicity on 31 March 2004 (BGVN 29:04 and 29:05). 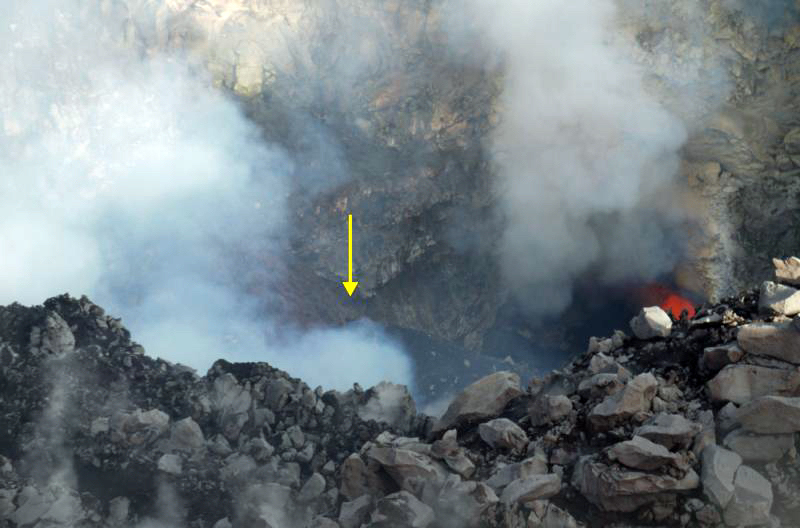 Lava was noted in the crater on  April and may have extruded for a few weeks thereafter. 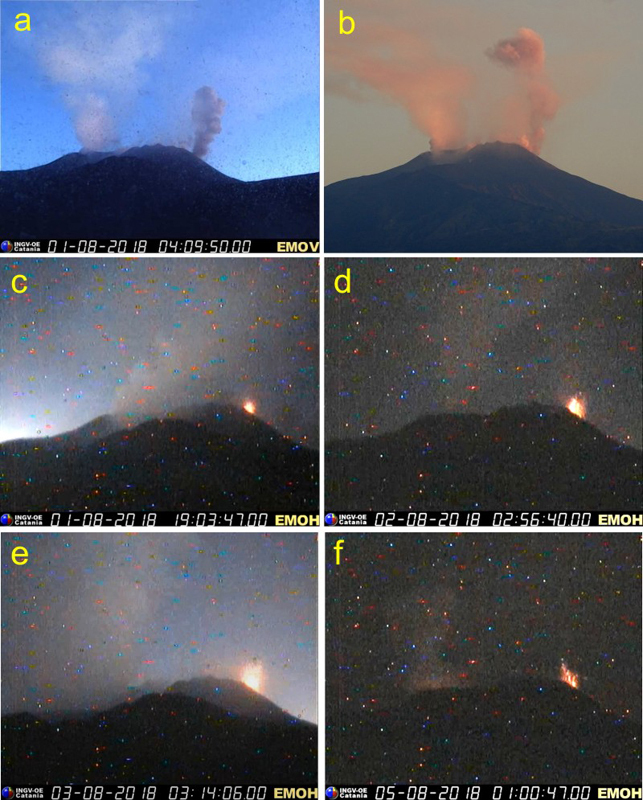 The most energetic phase occurred during 24-28 April, when a ash clouds rose ~ 1,000 m. This report summarizes activity from mid-June through September 2004. 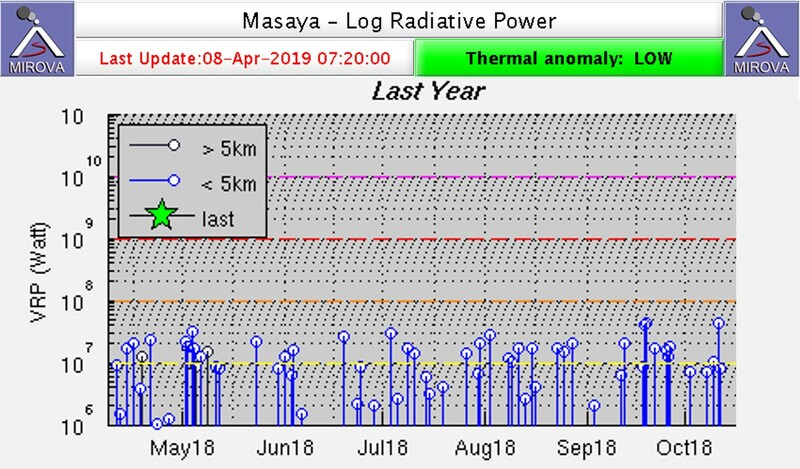 During June, seismicity was higher as a result of more frequent small explosions every few tens of seconds, and a 100-km-long, light-colored plume of steam and ash was occasionally visible. 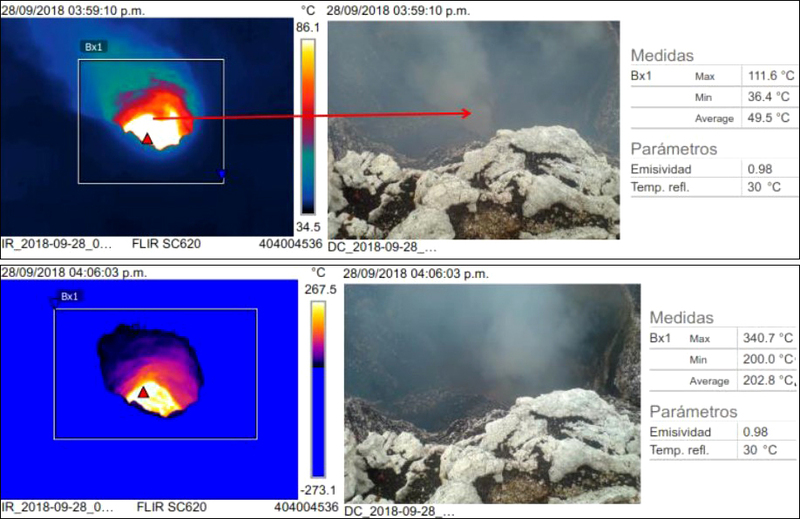 A cone active since at least 10 June produced continuous Strombolian explosions that ejected material as high as 100 m every few tens of seconds to minutes, filling the inner crater by about 10 July. The seismicity level was generally significantly lower during 14-16 June, after which it returned to earlier levels. 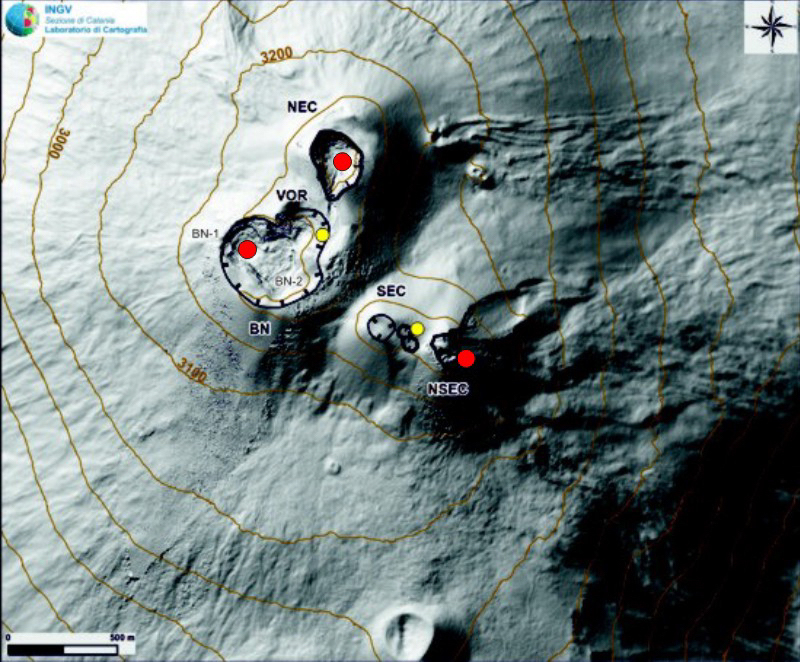 On 27 June a tropical storm knocked out the last seismic station on the island. The last time the weather was clear enough to see well, on 3 July, the Washington VAAC reported a 31-km-long ash plume well below 3 km altitude. 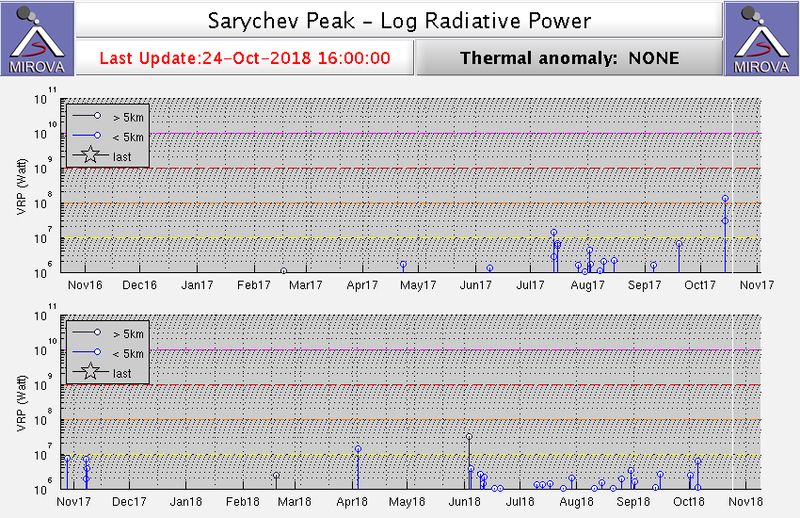 During a few days in mid-July, prolonged periods, 10-15 minutes long, of continuous ash emission began to occur and became more frequent. 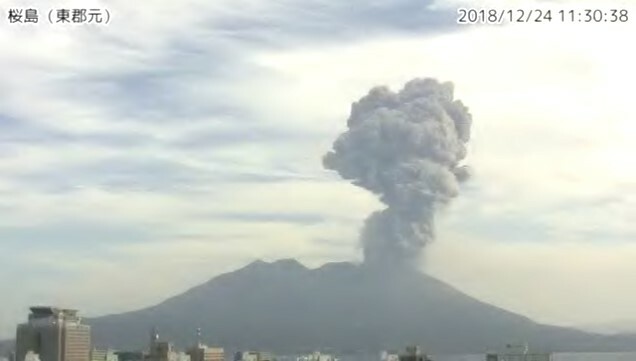 A plume of light ash and steam trailed tens of kilometers WSW at altitudes less than 3 km. 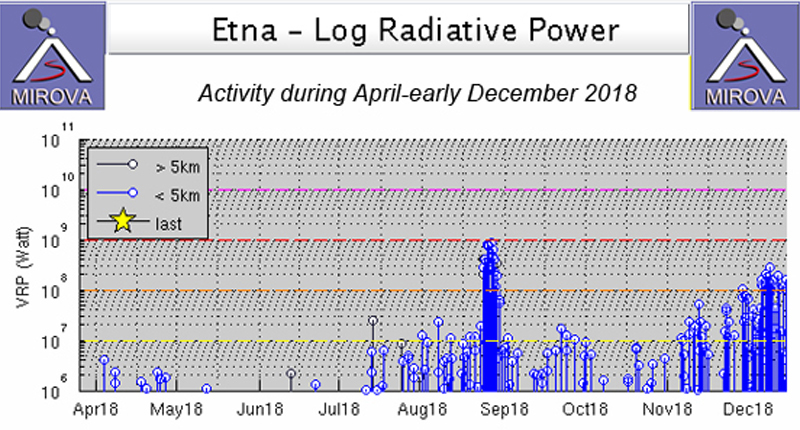 Seismicity increased on 23 July to approximately double the level of the previous day, approaching the previous high of late April. The seismic signals indicated somewhat larger and longer periods of ash emission. 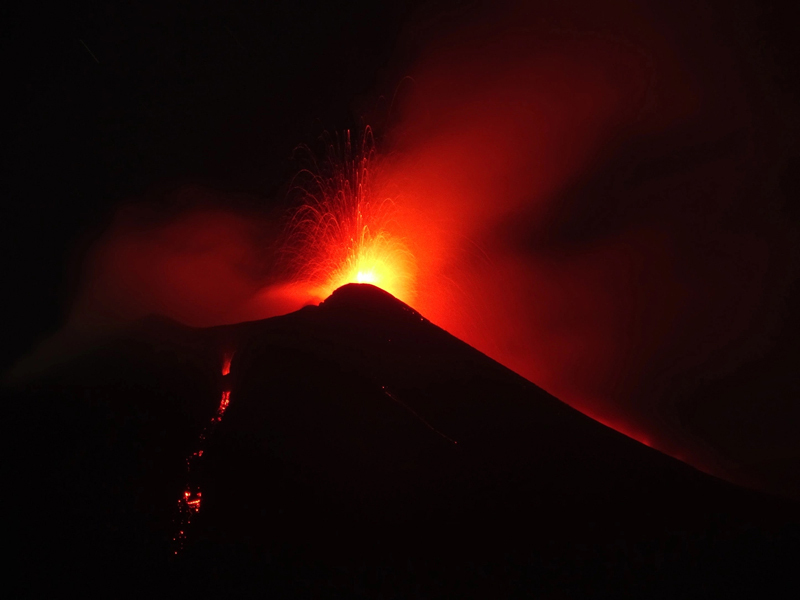 Strombolian explosions continued to occur very frequently. The explosions threw mostly coarse material upward a hundred meters or so at intervals of tens of seconds to a few minutes. 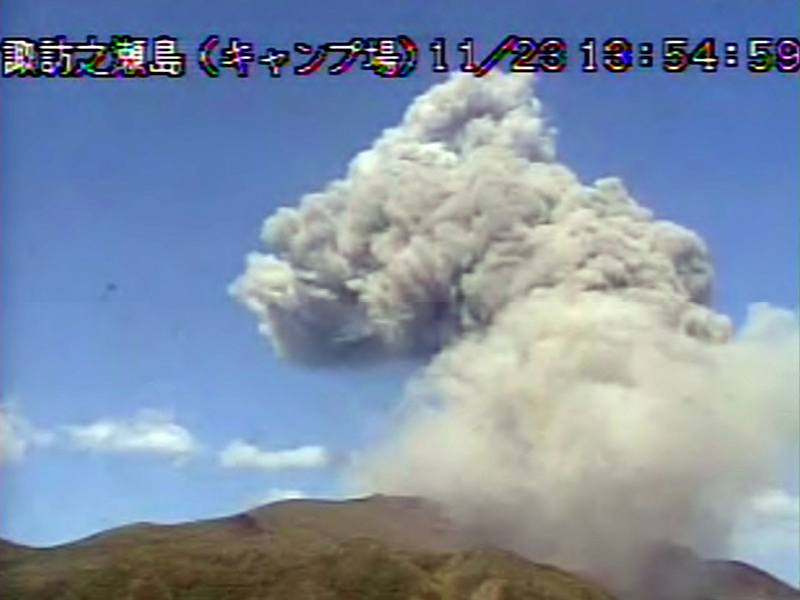 A plume of light ash and steam trailed a few tens of kilometers downwind, generally W, at altitudes below 1.8 km. An Air Force Weather Advisory on 24 July reported that their satellite could see the source as a hot spot. 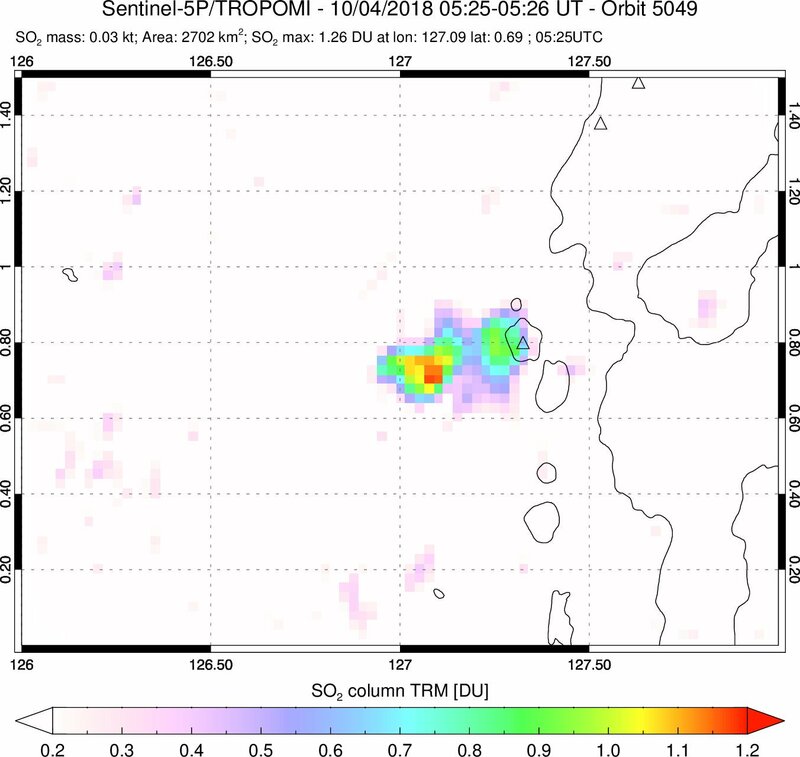 The Commonwealth of the Northern Mariana Islands Emergency Management Office (CNMI/EMO) reported a plume of light ash trailing a few tens of kilometers WSW at altitudes below ~ 3 km. 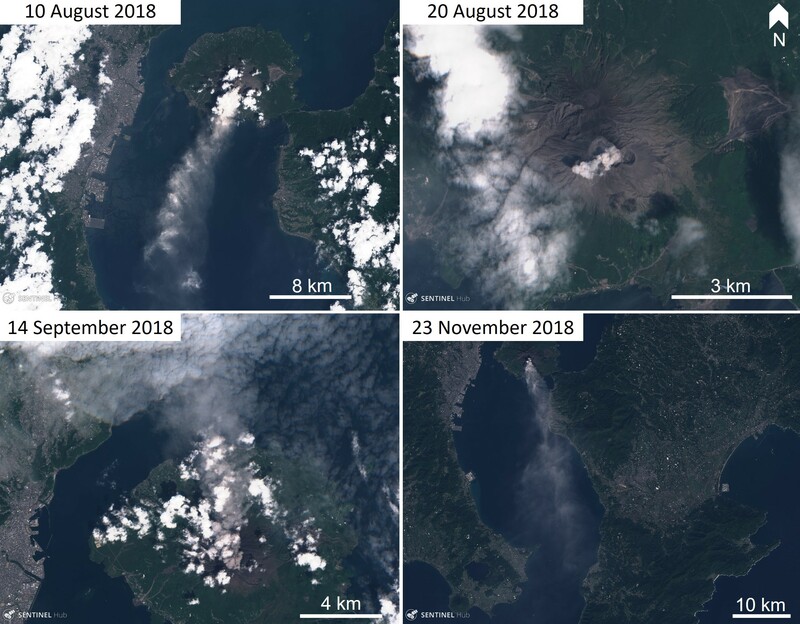 Joe Kaipat (EMO) visited the island on 25 July with personnel from Fish and Wildlife and reported observing an ash plume probably a few tens of kilometers long moving NE. This plume persisted until 3 August, less than a few kilometers long and below 600 m. After 26 July seismicity decreased to a very low level, with the signals indicating that the frequent individual explosions of several days before had decreased significantly in size and number and finally ceased by 31 July. Instead, ash and gas were being ejected almost continuously. Seismicity remained very low and frequent individual explosions ceased through August and September 2004. Information Contacts: Juan Takai Camacho and Ramon Chong, CNMI/EMO, Saipan, MP 96950, USA (URL: http://www.cnmihsem.gov.mp/); Frank Trusdell, U.S. Geological Survey, Hawaiian Volcano Observatory (HVO), PO Box 51, Hawaii National Park, HI 96718, USA (URL: https://volcanoes.usgs.gov/nmi/activity/); Washington Volcanic Ash Advisory Center (VAAC), Satellite Analysis Branch, NOAA/NESDIS E/SP23, NOAA Science Center Room 401, 5200 Auth Road, Camp Springs, MD 20746, USA (URL: http://www.ssd.noaa.gov/). 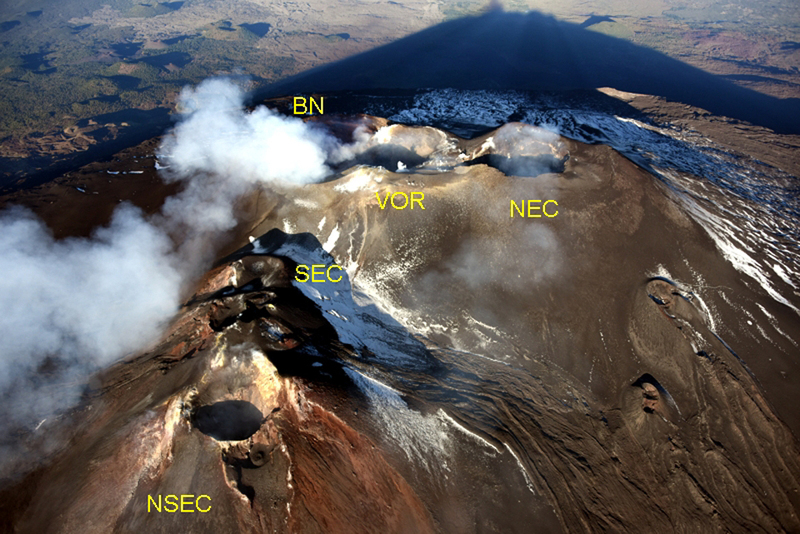 A sequence of pyroclastic flows moved down the N and NE flanks in September 2003 (BGVN 28:09). 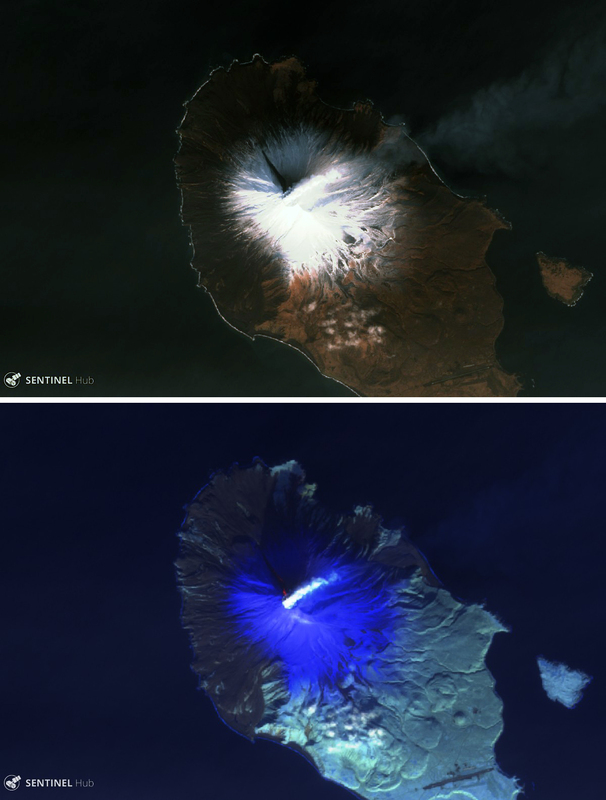 In general, Arenal's behavior during October 2003-March 2004 was similar to past years, with Crater C exhibiting ongoing gas emissions, lava flows, and sporadic Strombolian eruptions, and Crater D emitting fumarolic gases. The month with the highest number of inferred eruption earthquakes and the longest duration of tremor was March 2004 (table 23); long-period earthquakes spiked in May 2004. Table 23. Seismic activity registered at Arenal's station VACR, October 2003-June 2004. From 24 June onward, the seismic station was out of service. Courtesy of OVSICORI-UNA. Typical NE-flank lava flows persisted on 11 October 2003; in addition, some lava flows began to descend the SE flank, but they ceased by month's end. November 2003 reports noted NE-flank lava flows reaching 8 km NE of the edifice. 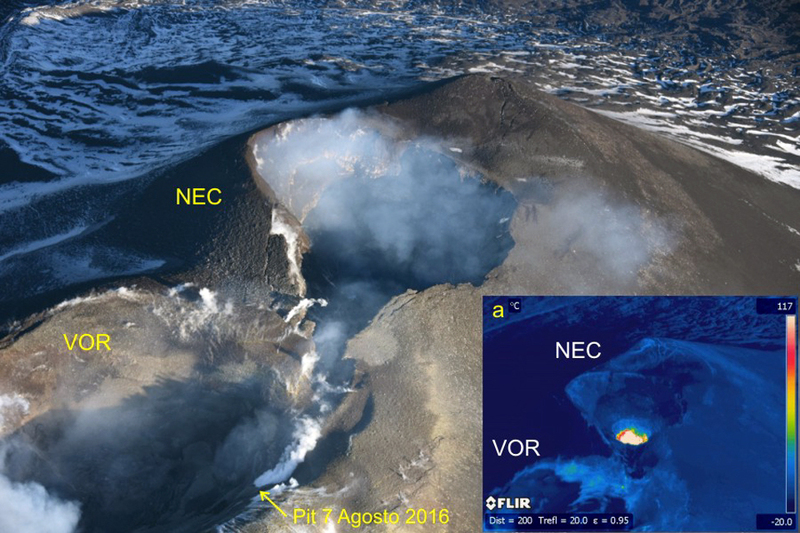 There were a few October eruptions that produced columns of ash more than 500 m above Crater C's rim. 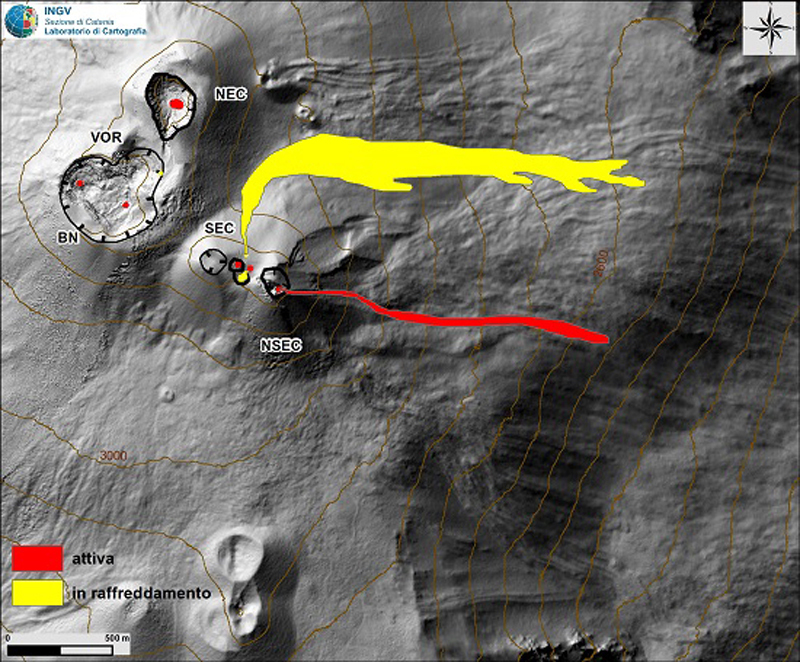 During November lava flows persisted on the NE; some extended 8 km. During December 2003, tephra fell on both Crater C's NE and SE sides; acid rain was also noted. 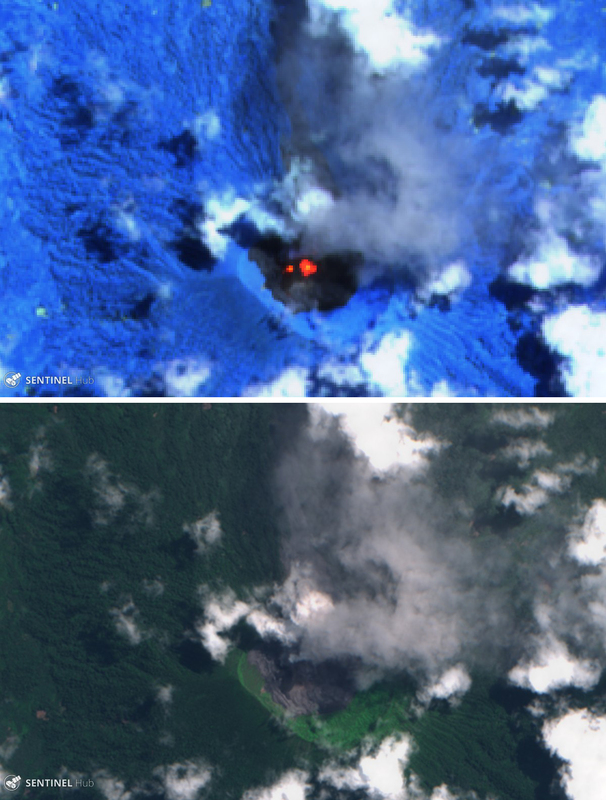 On 12 March 2004 a hot avalanche occurred at the lava front progressing toward Arenal's NE side; the avalanche cascaded downslope and stopped at 850 m elevation. Near the crater's N edge some blocks fell and portions of that mass-wasting event reached vegetation. 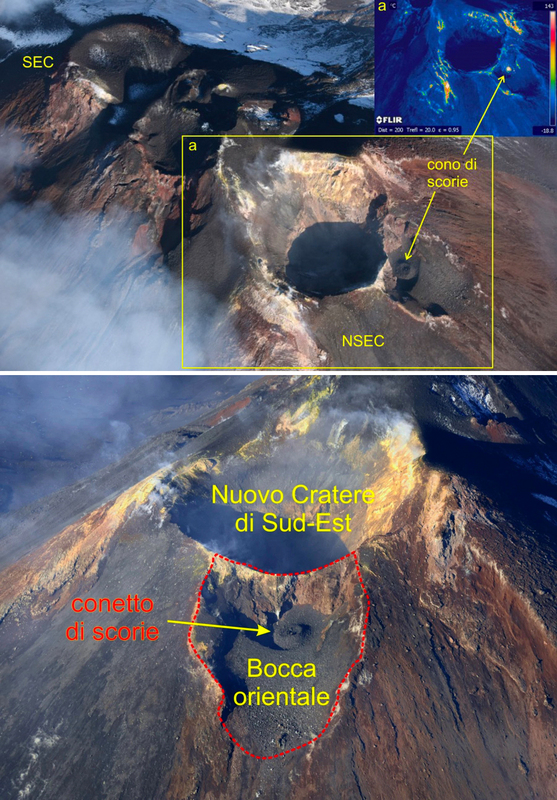 Eruptive activity declined but crevasses continue to widen. Small cold avalanches were also seen. 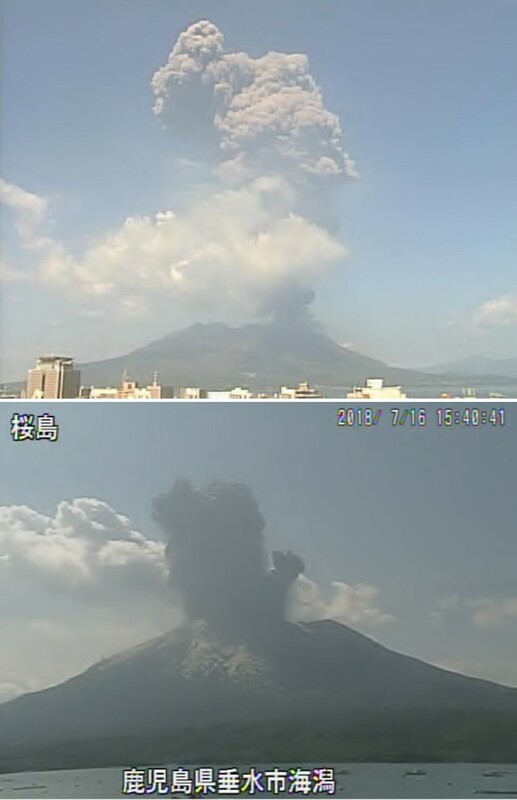 Pyroclastic flows on 6 July 2004. At 1319 on 6 July a series of pyroclastic flows descended the NE flank; other pyroclastic flows may have occurred later. Several medium-size pulses affected some patches of vegetation in the lower areas of the cone, ~ 900 m below the summit. The hot avalanches and airborne materials formed a plume of ash and dust blown SW. 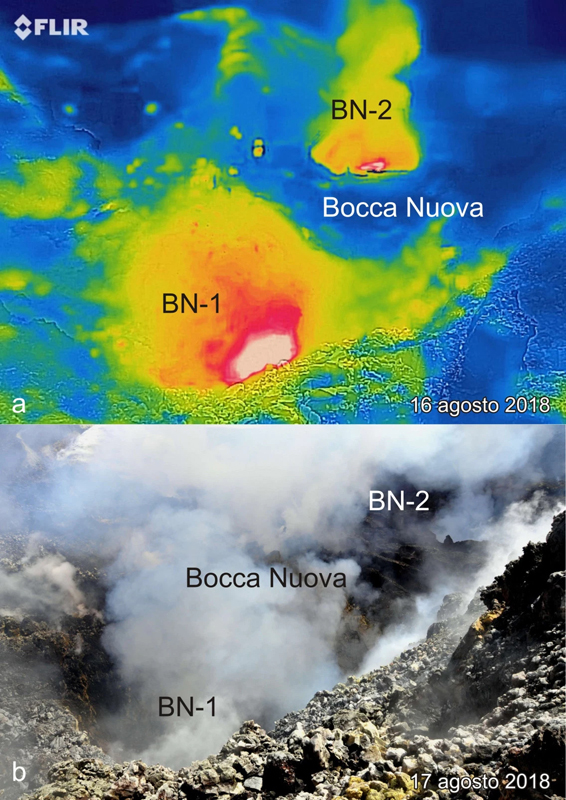 The pyroclastic flows resulted from the collapse of the upper areas of a lava flow, and impacted an area affected by flows during 1999-2003, but also invaded other areas. This type of phenomena has been common, particularly in recent years, to the N and NE. Figure 99 shows the distal portion of the area of pyroclastic-flow. Deposits included both abundant fine-grained materials and substantial blocks. 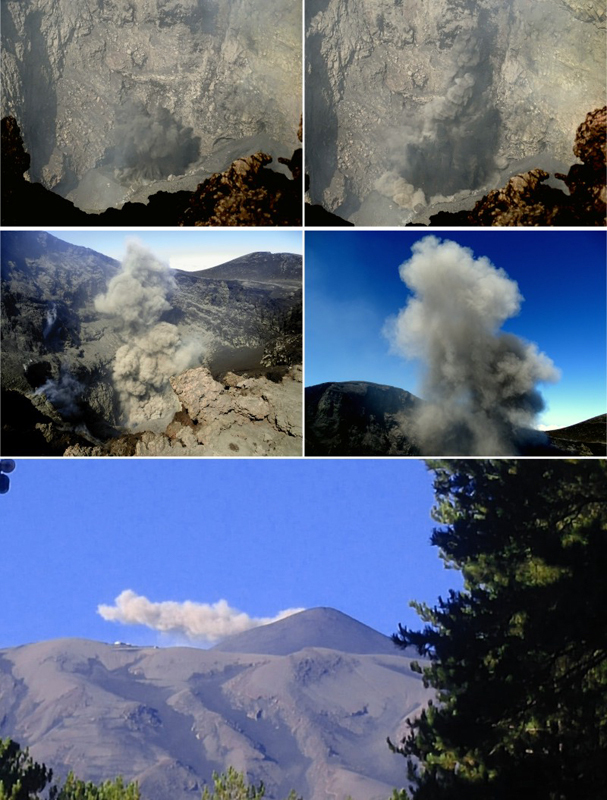 Direct observations were hampered by the pyroclastic flows as well as cloud cover. 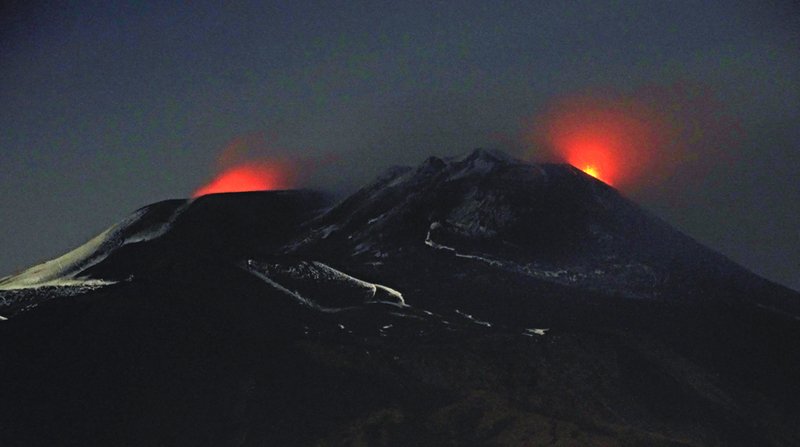 Authorities temporarily closed routes around the volcano, but the area was within the National Park in a zone excluding visitors. Figure 99. 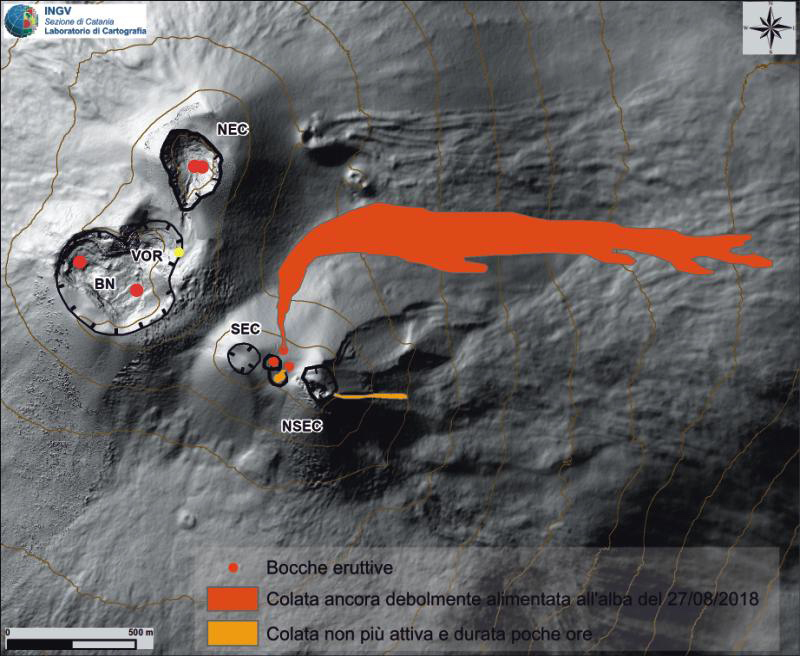 The lower portions of Arenal's 6 July 2004 pyroclastic-flow deposit, as outlined by OVSICORI-UNA scientists. 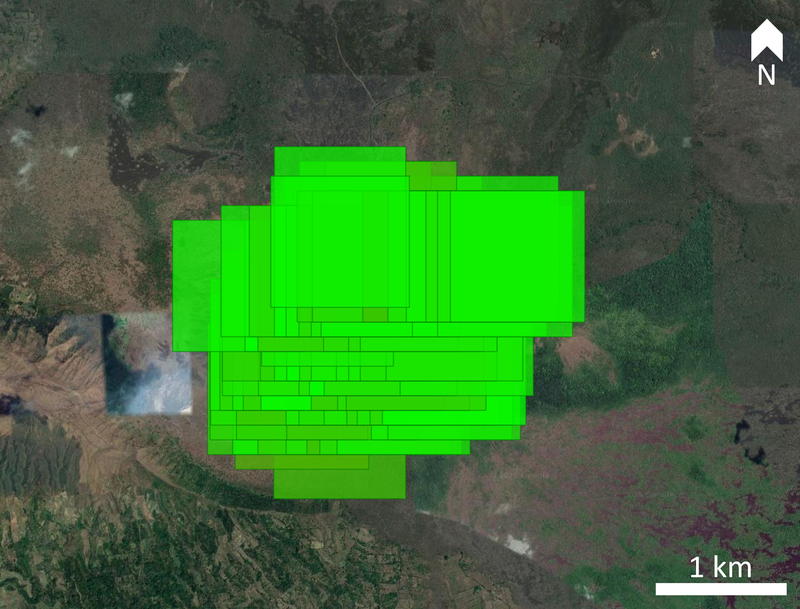 Eliecer Duarte provided a rough estimate of distance from the middle left to the lower right side of the area (the 'heel to the tip of the toe') as 250 m. Locations of some of the burned and singed vegetation are indicated. Loose mass-wasted materials (labeled as deposits from rockslides) also accompanied the pyroclastic flows. Courtesy of OVSICORI-UNA. Information Contacts: Observatorio Vulcanológico y Sismológico de Costa Rica, Universidad Nacional (OVSICORI-UNA), Apartado 86-3000, Heredia, Costa Rica. (URL: http://www.ovsicori.una.ac.cr). Geologic Background. Asamayama, Honshu's most active volcano, overlooks the resort town of Karuizawa, 140 km NW of Tokyo. 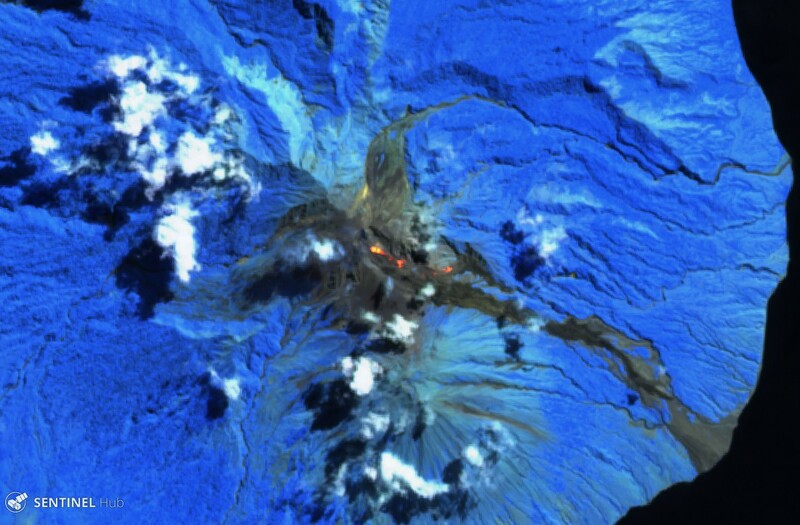 The volcano is located at the junction of the Izu-Marianas and NE Japan volcanic arcs. 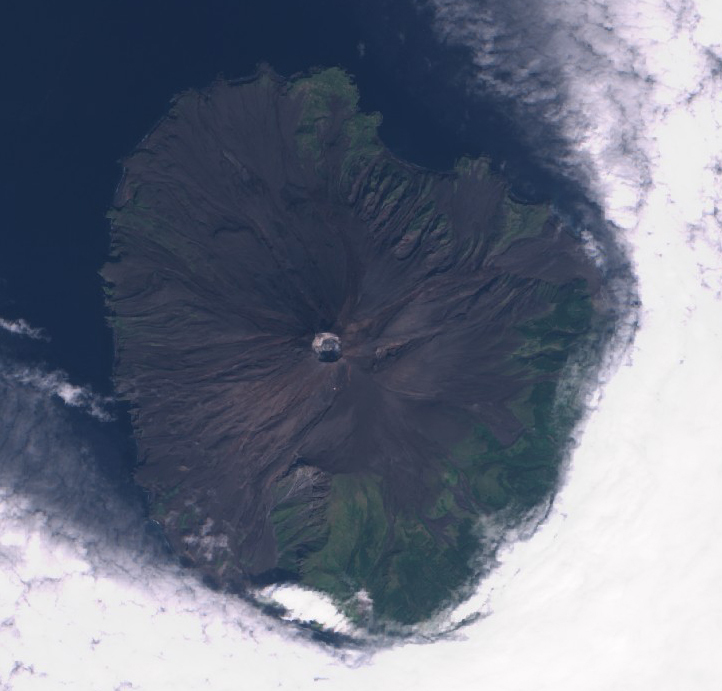 The modern Maekake cone forms the summit and is situated east of the horseshoe-shaped remnant of an older andesitic volcano, Kurofuyama, which was destroyed by a late-Pleistocene landslide about 20,000 years before present (BP). 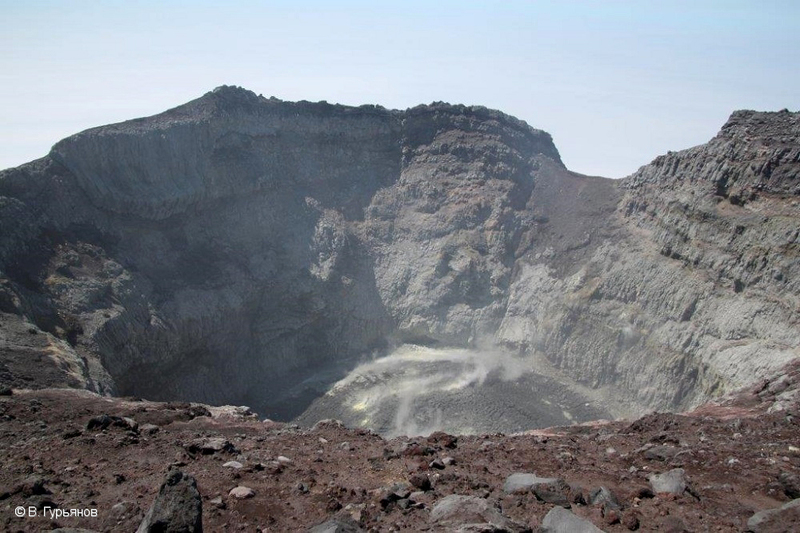 Growth of a dacitic shield volcano was accompanied by pumiceous pyroclastic flows, the largest of which occurred about 14,000-11,000 BP, and by growth of the Ko-Asama-yama lava dome on the east flank. Maekake, capped by the Kamayama pyroclastic cone that forms the present summit, is probably only a few thousand years old and has an historical record dating back at least to the 11th century CE. Maekake has had several major plinian eruptions, the last two of which occurred in 1108 (Asamayama's largest Holocene eruption) and 1783 CE. Geologic Background. Gunung Egon, also known as Namang, sits astride the narrow waist of eastern Flores Island. The barren, sparsely vegetated summit region has a 350-m-wide, 200-m-deep crater that sometimes contains a lake. Other small crater lakes occur on the flanks. A lava dome forms the southern summit. Solfataric activity occurs on the crater wall and rim and on the upper S flank. 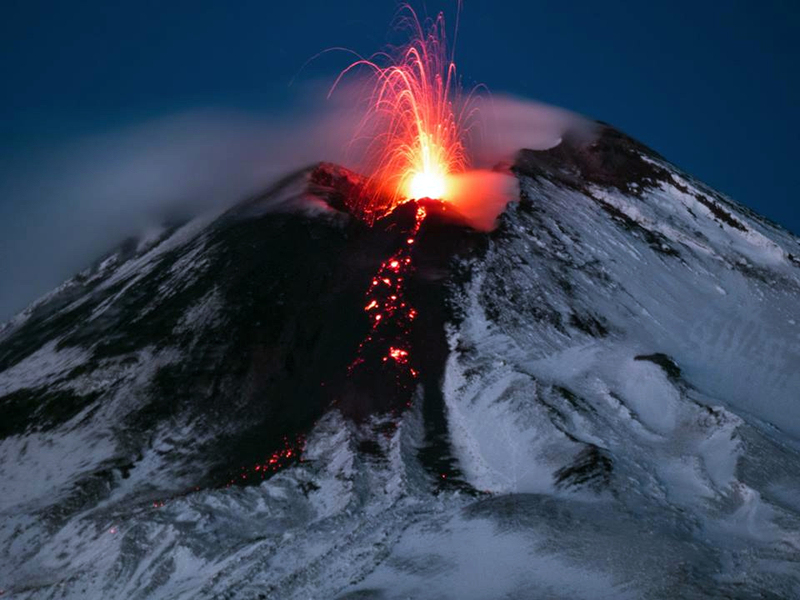 Reports of historical eruptive activity prior to explosive eruptions beginning in 2004 were inconclusive. A column of "smoke" was often observed above the summit during 1888-1891 and in 1892. Strong "smoke" emission in 1907 reported by Sapper (1917) was considered by the Catalog of Active Volcanoes of the World (Neumann van Padang, 1951) to be an historical eruption, but Kemmerling (1929) noted that this was likely confused with an eruption on the same date and time from Lewotobi Lakilaki. 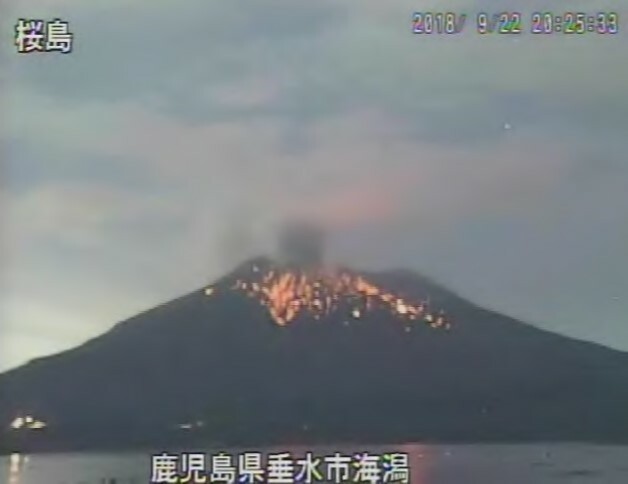 Intense activity occurred at Anak Krakatau beginning on 4 July 2004, when gas and steam emissions increased. The number of volcanic earthquakes also increased on 5 July to between 1 and 4 events per day, then abruptly rose to as high as 58 events/days during the week of 12-18 July before dropping again to 2-17 daily events (table 5). 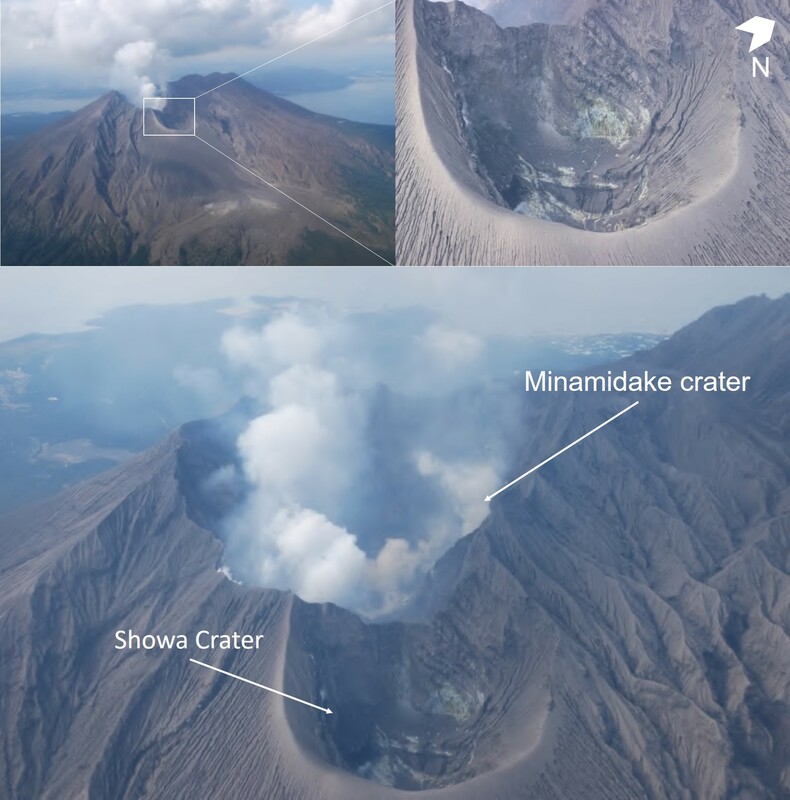 Based on the increased activity, the hazard status was upgraded to Alert Level II (yellow) on 16 July; visitors were not allowed to approach the summit or crater. Seismicity recorded at the Kalianda station after 18 July through 15 August was variable, but did not exhibit the high numbers recorded in the first half of July. Table 5. Seismicity at Krakatau, 4 July-15 August 2004. Courtesy of DVGHM. Information Contacts: Dali Ahmad, Hetty Triastuty, Nia Haerani, and Sri Kisyati, Directorate of Volcanology and Geological Hazard Mitigation, Jalan Diponegoro No. 57, Bandung 40122, Indonesia, URL: http://www.vsi.esdm.go.id/). Geologic Background. 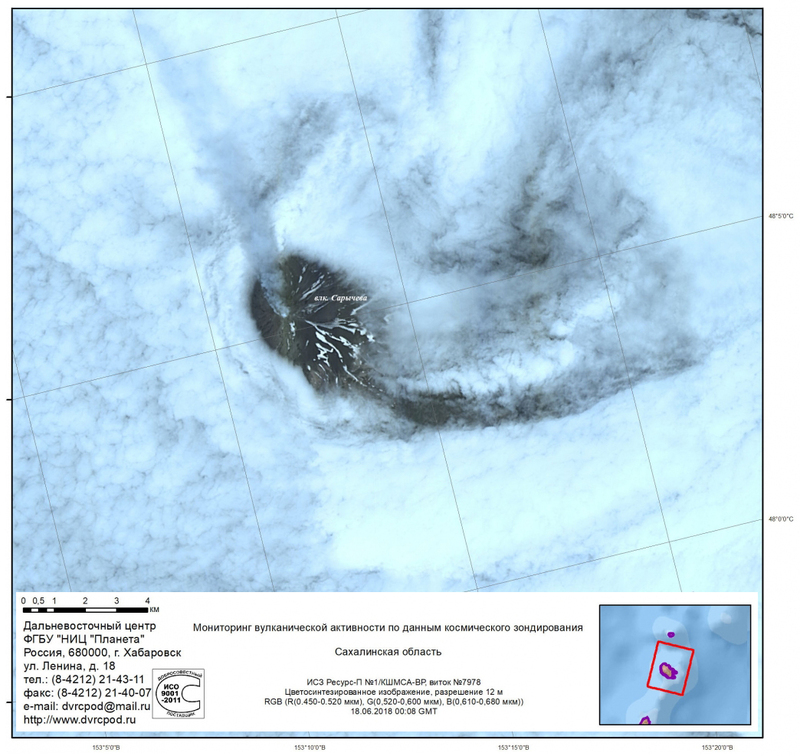 Nightingale Island and the adjacent smaller Middle (or Alex) and Stoltenhoff Islands and associated small islets are the southernmost of the Tristan da Cunha island group. The heavily eroded island consists of early and late stage ash and agglomerate units with intervening massive trachytic intrusions and lava flows. Volcanic rocks were K-Ar dated at between 0.4 and 0.15 million years, and a radiocarbon date of about 39,000 yrs BP was obtained from an ash layer overlain by a lava flow. An earthquake swarm lasting 6 hours beginning on 29 July 2004 was followed by observation of large blocks of floating phonolitic pumice that washed up on Tristan da Cunha. 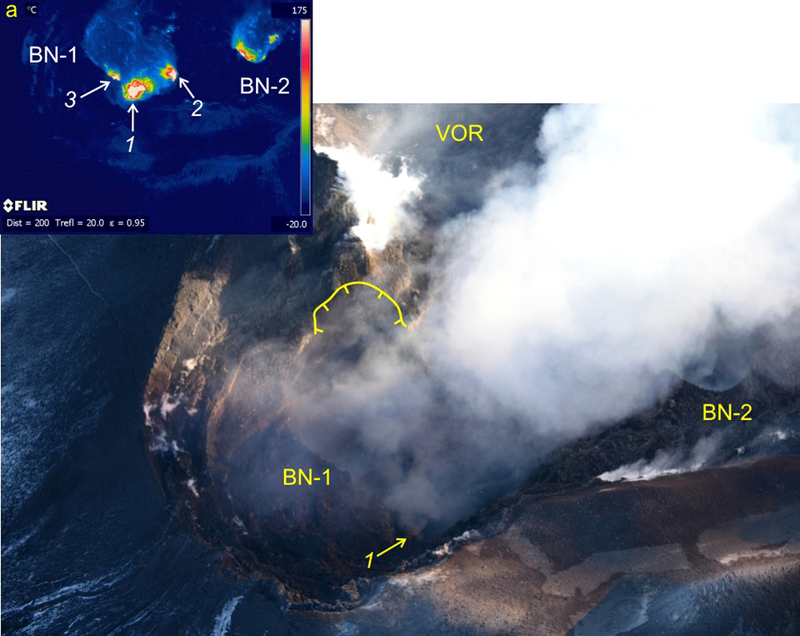 The event was considered to have originated from an eruption associated with an earthquake swarm 37-53 km SSE of Tristan da Cunha on the submarine SE flank of Nightingale Island.